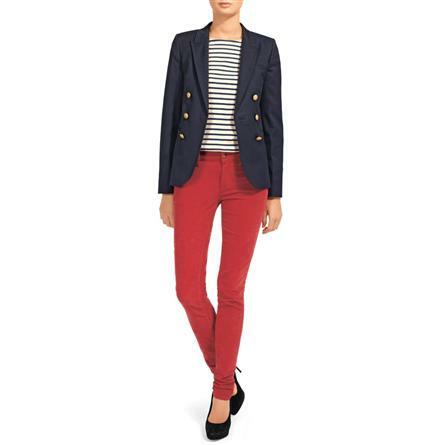 How clever; heritage brand Aubin and Wills (big brother of brand Jack Wills) has produced a replica of the blazer worn by the Middleton sisters and named it (wait for it) the Middleton blazer. I went through a massive Jack Wills phase as do most teenagers in London - I lived in their oversize tracksuit bottoms and hoodies before I knew what tailoring was. Here is the jacket, and its really nice - big fan! As I said before you can wear this with pretty much anything - but always buy one that actually fits you, even if you never intend to do up the buttons, if you can close them comfortably then it is too small. This one is pricey, but I promise you that you'll only need buy one of these once.